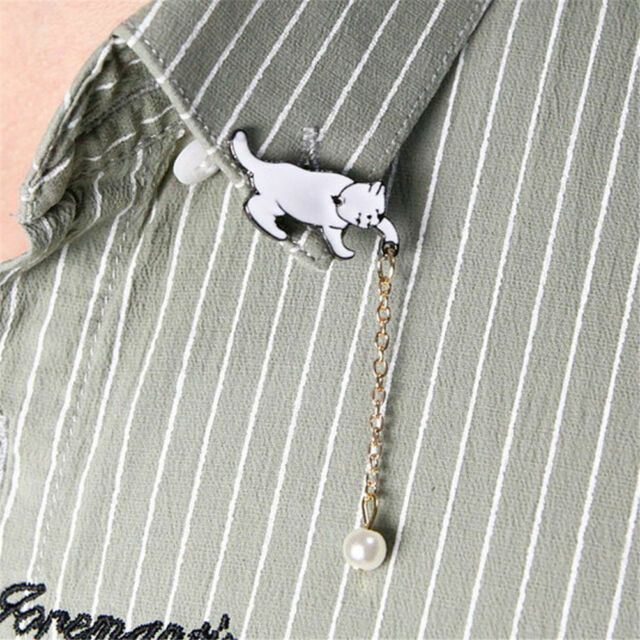 Acrylic Cat with Pearl Ball Brooch. Just plain CUTE! Cute idea and looks adorable on granddaughters school uniform. Seems sturdy too. I would recommend it.